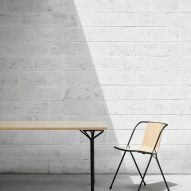 A new brand launched at this week's Denfair in Melbourne is hoping to start a "new Australian design movement" with its furniture and lighting by local designers. 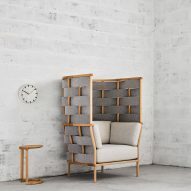 Nau has collaborated with Adam Cornish, Adam Goodrum, Gavin Harris and Jack Flanagan on everything from millennial pink armchairs to seats with elaborate woven backs. 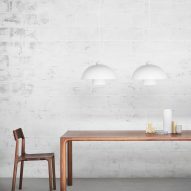 The pieces, which made their international debut at ICFF in New York last month ahead of their local launch at Denfair, nod to a range of influences, including Italian architecture and open-plan living, as well as Australia's own buildings and landscape. All the objects use a limited number of components, and focus on minimal wastage and the use of natural materials. 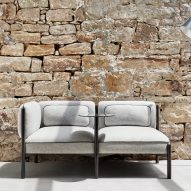 Cornish has tackled the prevalence of bulky sofas with a smaller, more space-conscious version that has rearrangeable modular elements. 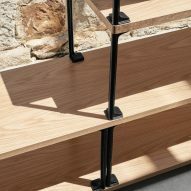 Other pieces by him include a stripped-back shelving system, a set of powder-coated metal bar stools in muted colours, and a desk that references furniture of the 1950s. 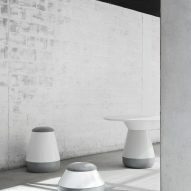 Several pieces in the collection have been designed by Goodrum, who contributed a dome-shaped light, a set of wooden tables and chairs that nod to the modernist architecture of Sydney, and a sofa with an oversized nest-like back, designed to offer office workers a moment of privacy. The colour of the moment, millennial pink, has also been utilised in his Fat Tulip seating, which features chunky curved elements supported by low legs. "Now is the time for a new Australian design movement," said the company. "Our influences are really unique from the rest of the world, and we have no ancestry that we are obliged to adhere to." "Australian creatives intuitively utilise and embrace our extreme natural landscapes, palettes and unique materials, from closed canopy forests to dene dry bush and open rolling plains." "We are free to immerse ourselves among these, and as a result have carved out a resourceful, hands-on and open-minded design culture," it continued. "Nau is the embodiment of this fresh-thinking, broad-spectrum approach." 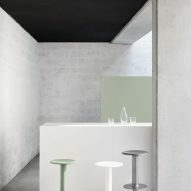 Other furniture in the line comes in the form of light bulb-shaped tables and stools created by Gavin Harris, and sand-cast aluminium and wood stools by Jack Flanagan. 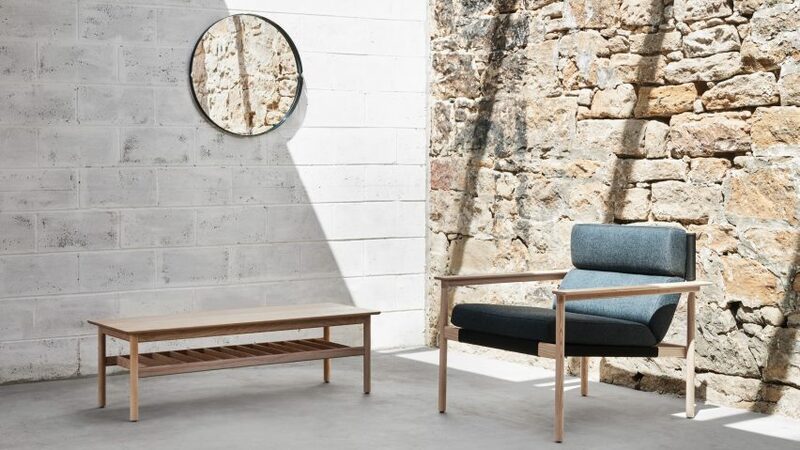 Nau was set up by Richard Munao – who also founded furniture retailer Cult, which has stores across Australia and New Zealand. 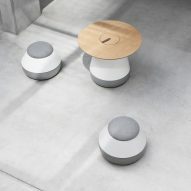 Nau is an extension of and new home for Cult's own product development, which began when Cult released its first collection of furniture by Australian designers in 2014. Australian designers also came together during this year's Milan design week, taking over a 12th-century church oratory with a range of furniture, lighting and objects. Denfair is on in Melbourne, Victoria from 8 to 10 June 2017.